Simplest dish I ever learnt and it can be tweaked to turn into another dish! 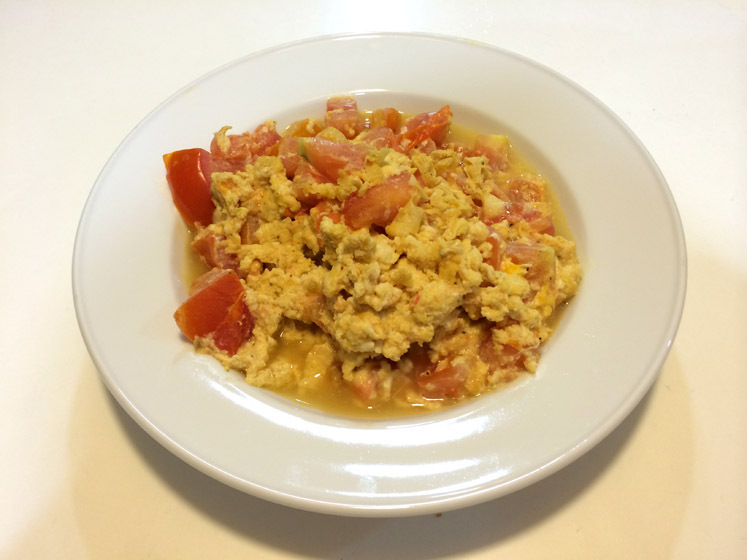 When the eggs are beginning to coagulate, mix in the tomatoes (from the side) and stir. Be careful not to overcook the egg as this dish tastes better when eggs and tomatoes are slightly on the wet side.